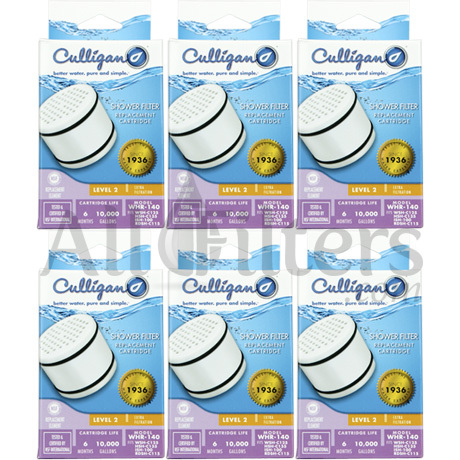 Culligan WHR-140 Shower Filter Cartridge - Only $13.13! How does the Culligan shower filtration technology work? The Culligan shower filter utilizes KDF-55 media. KDF-55 is a carbon based copper-zinc formula designed to remove chlorine and heavy metals. The copper and zinc in the media protect the carbon at high temperatures while the carbon is used to remove chlorine from the water. The compact design of the filtration media also prevents sediment from passing through the water supply, making the showering water feel much cleaner. 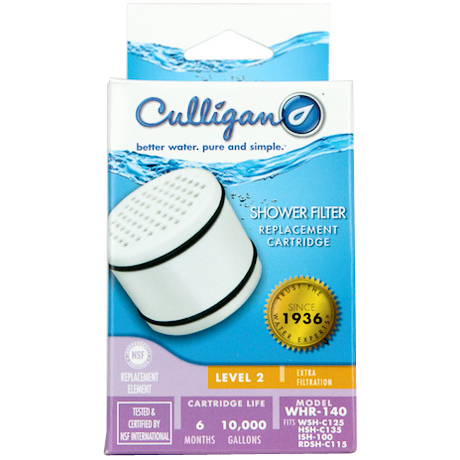 The Culligan shower filters are certified to process water at 2.5 gallons per minute, which is the same flow regulation as a most standard shower heads. Unless you currently use a high-flow shower head, you should not experience any pressure loss.